Someone who works in edge computing may be responsible for creating, maintaining and upgrading an edge computing environment and may involve the design and development of hardware and software solutions, overhauling existing network infrastructure so that there is a balance of load-shifting across a network and all the devices connected to it. 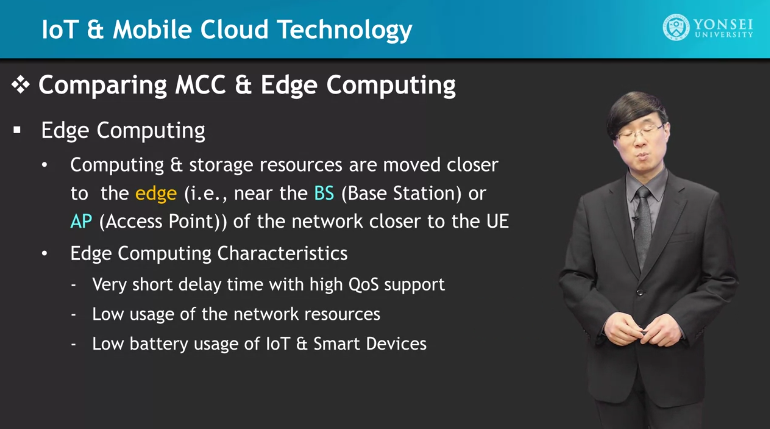 So what is edge computing? Years ago devices would send raw data to a local server and the server would do all the intelligent processing of that data. And then we started sending data to the cloud for processing and the results of that processing would be sent back over the network to the device of origin or some other terminal to read and further manipulate the results. However with more devices and more data going to servers and the cloud we start to get disruptions or slowing of the sending and receiving of data. Today there are a massive amounts of interconnected devices with massive amounts of data needing to be processed. Complex machines like planes and self-driving cars can generate many terabytes per day for each plane, car, automated factory, and so on. This is too much time-sensitive data to effectively process through the cloud. What’s the answer? Edge computing. 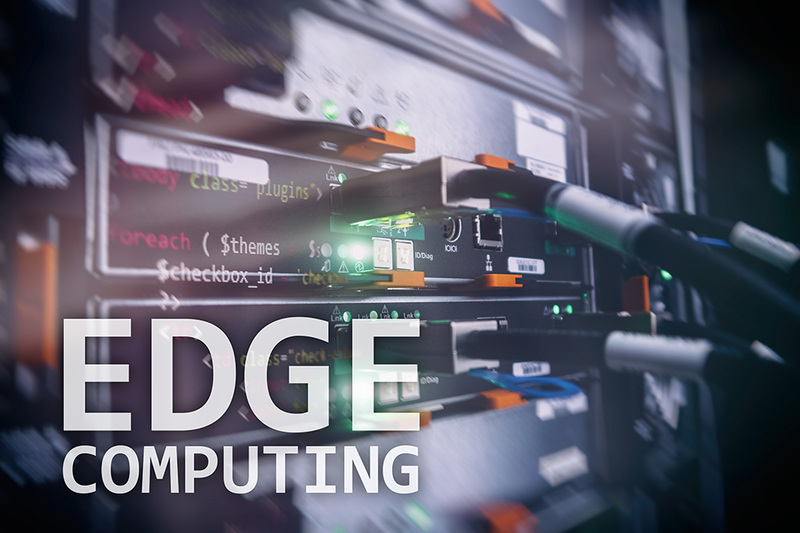 As the name suggests, Edge Computing pushes the processing of data closer to the edge of a network (in other words closer to the device of origin or within the device itself). With computing power being as compact and cheap as it is today most devices do much of the data processing internally and will send less, or more refined data across a network. This speeds up the sending and receiving of data by working around the bandwidth limitations of conventional cloud networks and it also helps preserve the integrity of the data packets (when a network is overburdened packets of information can get spread out or bunched up and this can affect real-time sensitive information). As you can imagine avoiding network latency is important for critical and time-sensitive data processing – like with a surgical robot at a hospital, or a self-driving car navigating an intersection, or a network of surveillance cameras looking for faces and number plates. Say you had a thousand high-resolution cameras just streaming raw data to a server or to the cloud for processing – there could be a lot of latency depending on the amount of data and sophistication of the processing – like looking for particular faces at an intersection. However if the cameras themselves had more intelligence and processing power on board, and there was a local processor in the network that sat between the cameras and the cloud that not only controlled the cameras but also did some of the processing heavy lifting, (and in this case that might be using some sort of machine learning or artificial neural network) then we have an edge computing solution that could be faster, and more secure than just dumb video sensors streaming raw data to the cloud. Now imagine a smart factory, maybe a car manufacturer with lots of automated and semi-autonomous machines, devices, computers and servers all interconnected, talking to each other and updating each other and streaming to and from the cloud. Computing on the edge becomes an important part of the network infrastructure in this sort of environment. As large organisations begin to implement more edge solutions to their networking of devices and machines, a job that we may see rise in popularity is a Master of Edge Computing. Typically these sorts of jobs are under the umbrella of titles like “Cloud and Edge Software Engineer”, “Software Architect”, “Connectivity Engineer”, “Network Engineer”, “IT Director”, “Cloud Engineer”, “IoT Embedded Engineer”, and other similar titles. The job description of someone involved in edge computing can be diverse – it could include the planning of a future roadmap for the company network; assessing feasibility, costs and technical requirements for a network; overseeing the overhaul of existing network infrastructures; modifying or designing new software and hardware. With an edge computing environment in place, the job may also include maintenance, improvements and scaling of the network environment.